During remission, it is important to take time for yourself to allow for healing, both physically and mentally, with spas being an ideal place to do so. However, statistics suggest that as many as 97% of spas turn those with a history of cancer away. This is shocking considering that one in two of us will get cancer at some point during our lifetime. This being said, there are some fantastic remission retreats around the world. These are designed to support guests, providing a space where they can begin their journey of healing and recovery. This programme is designed by wellness experts and tailored to each guests’ individual needs. It focuses on dedicated treatments and re-functional exercises which aid not only cellular health, but also help stimulate physical and mental wellness and assist guests regaining an appetite. The emphasis on holistic health and wellness feeds into the programme’s passion for excellent nutrition. Its view is that nutrition should be seen as a source of pleasure- a vision which becomes a reality in the retreat’s two restaurants. The award-winning chefs use ingredients from the organic gardens- an idyllic place where guests can explore and understand Chiva-Som’s culinary philosophy. The resort itself is beautiful and made up of 54 recently renovated rooms, with the option of an ocean view, or one of the tranquil gardens. This sophisticated gold-standard medical diagnostic clinic is situated within a stunning 5* hotel, with state-of-the-art facilities. 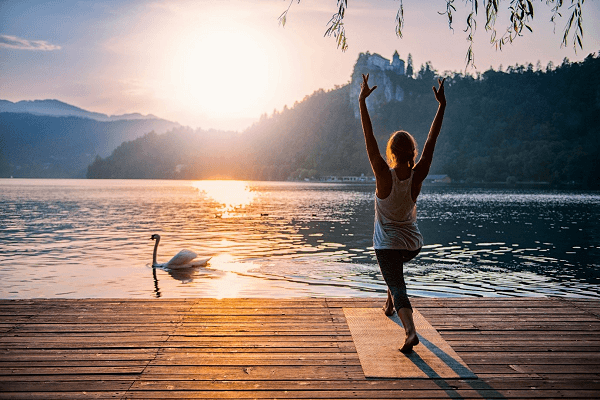 Located on the southern shores of Lake Wörth, a region well recognised for its beauty and peace- it is the perfect place to be if you want to relax. Vivamayr Maria Worth wellness retreat provides the full package, with Dr. Harold Stossier and his team offering exceptional modern medical therapies, immune boosting detox and diet treatment plans. A customised Modern Mayr diet plan is created, on arrival to the retreat. This is formed during your initial consultation and tweaked throughout your trip as the healing has begun. As a guest, you have access to the daily programme of activities throughout your stay as well as the option of abdominal treatments. On the last day of your trip, there is a final medical consultation which aids the transition back to normal everyday life. This programme was introduced by London-based physiotherapist Michelle Lewis and her patient, Lucy Nifontova. The programme is only available on set dates at Anantara Vilamoura luxury spa hotel in the Algarve. This is the perfect programme to help anyone recovering from cancer- it’s less ‘intense’ than the previous retreats, however their mixed Pilates, soft tissue therapy and physiotherapy will help you heal and relax. You also get downtime, which you can spend laying by the pool or being pampered in the spa, enjoying a relaxing massage. This wonderful retreat offers a sense of calm and balance for people with cancer. Based in a stunning 14th century chateau, nestled amidst fields in the magnificent countryside of the Gers, in South West France- it is a haven like no other. This retreat is ideal for those who have or have had cancer, as well as their family, friends and carers. If you are currently in-between treatment, providing you are fit to travel, this is perfect place for you. Daily yoga, meditation, treatments, delicious nutritious meals are just a few of things you’ll experience while you’re here. Having cancer is tiring to say the least, and can leave you feeling like you need a break. Why not start with one of these retreats- you’ll be able to rest, receive support and enjoy a break away from everything. These retreats, whilst all varying in price, are not the cheapest of holidays. Nevertheless, holidays are always a great way to relax, so if a retreat doesn’t sound like something you’d want to do then what about a relaxing beach break, a romantic city break or an activity packed family holiday? Whatever you choose, Insurancewith are right behind you. We do more than just insurance, and will not only provide cover but also support you, whilst you’re off on that much deserved holiday. For more information on our cancer travel insurance, click here.